Bridges are an important component to the BrykerWoods neighborhood. The bridges are of both historical and functional significance. Shoal Creek separates BrykerWoods from the downtown business district and the University. Prone to flooding, Shoal Creek is notorious for destroying bridges. Due to location, the BrykerWoods neighborhood was not developed until reliable bridges crossing Shoal Creek were constructed. The bridges permitting access to BrykerWoods reflect different styles. Serving the need to cross Shoal Creek, the forms of our neighborhood bridges (as with any bridge) are a product of function. And of the bridges remaining crossing Shoal Creek, an aspect shared by all is the material of composition – concrete. Despite all the concrete, the severe flooding of the past few decades has threatened the foundations of the many old bridges spanning Shoal Creek. The 34th Street bridge was constructed in 1939 as part of a Public Works Administration project. Link to construction picture. 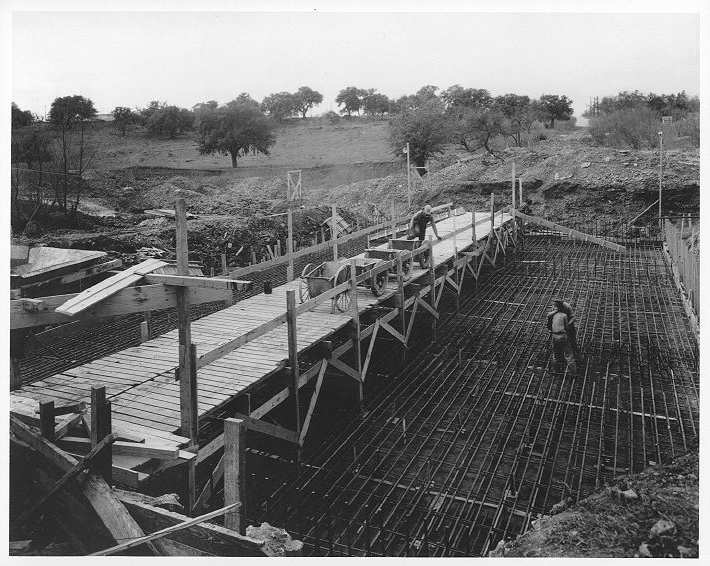 The bridge remains in use today and reflects the style typical to many other bridges built during 1930’s in Austin. Walking along the Shoal Creek Greenbelt under the 34th street bridge reveals the slab construction type. Click on right image to enlarge photo. Both the State Street bridge and the 34th Street bridge cross Shoal Creek at a location very historic to Austin (see color photo above). Sieders Springs continues to flow and the Shoal Creek Greenbelt is a vital component to the quality of life in central Austin. Despite the thick concrete pilings, these bridges are threatened by erosion. And if ignored, the erosion will destroy the historic neighborhood bridges. 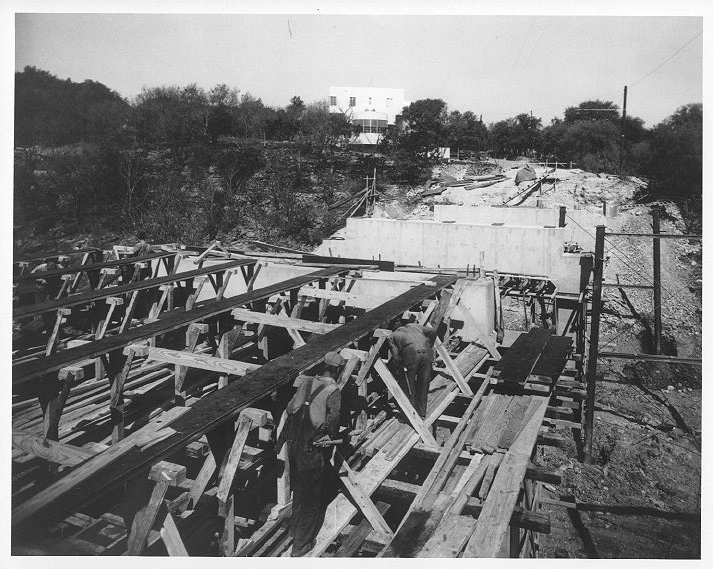 The original bridge crossing shoal Creek at 29th Street was a steel-frame bridge with wood planking. This bridge was replaced with a reinforced concrete bridge in 1926 which had to be repaired in 1933. 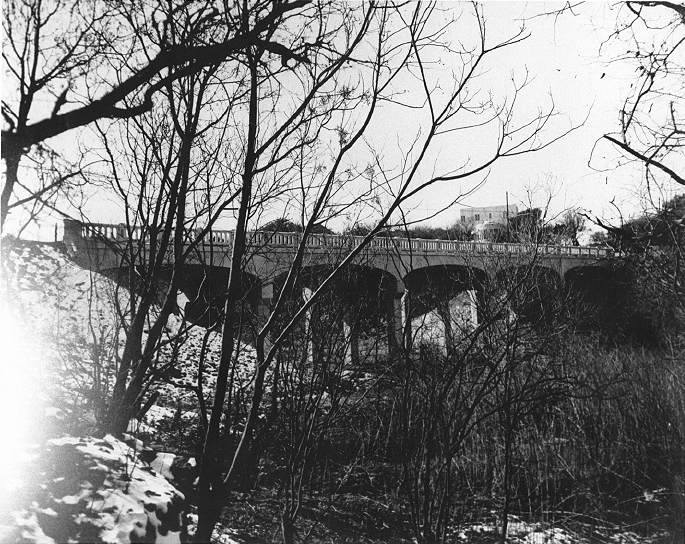 The existing bridge replaced the old bridge in 1938 as part of a Public Works Administration project. Link to construction picture. With the elimination of a double curve and by straightening the approaches the newest bridge was a marked improvement over the former bridge in both capacity and safety. A walk along the Shoal Creek Greenbelt under the bridge reveals the construction type (concrete girder T-Beam construction) and the beautiful concrete vaulting. The 29th Street bridge serves as a nice complement to the Bohn house of Art Deco style on the upper west bank of Shoal Creek. Click on image to enlarge photo. 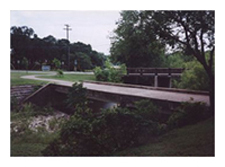 The earliest bridge in the BrykerWoods Neighborhood was the State Street Bridge (located behind the Shoal Creek hospital). 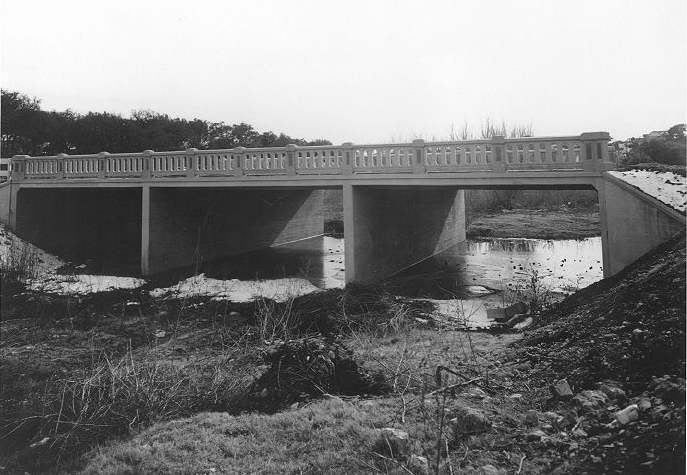 Constructed in 1916 of “slab construction” style, this concrete bridge was one of the few reliable crossings of shoal Creek north of the central business district. State Street was once the main thoroughfare when traveling out of Austin and into the hills northwest of town (see 1910 USGS topographic map.) The State street bridge however now serves as a “pedestrian” bridge next to the 34th Street bridge (shown in color photo top of page). Annual Fourth of July Parade! Bryker Woods Elementary is “exemplary” across the board! Is your child’s route to school dangerous?